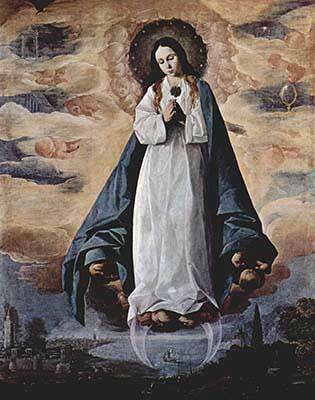 Americans join with Catholics the world over in celebrating the feast of the Immaculate Conception on December 8. They were filled with joy in 2014 which marked the 160th anniversary of the proclamation. As Pius IX explains in his Apostolic Constitution Ineffabilis Deus, Mary Most Holy by the same merits of her Divine Son has been redeemed in a special, preventive manner, preserving her from Original Sin. As the Pope says, “the most Blessed Virgin Mary, Mother of God …. her soul, in the first instant of its creation and in the first instant of the soul's infusion into the body, was, by a special grace and privilege of God, in view of the merits of Jesus Christ, her Son and the Redeemer of the human race, preserved free from all stain of original sin. 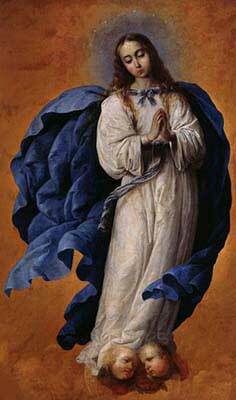 And in this sense have the faithful ever solemnized and celebrated the Feast of the Conception."